Your Fiverr profile is meant to introduce yourself to the community. 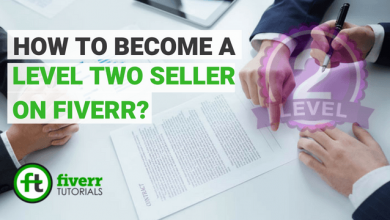 Fiverr seller profile is very important for a buyer to know about the seller to whom he is going to trust his earnings. Fiverr seller profile doesn’t only let your buyers know about your talent, passion, skills, and experience in your profession but its main purpose is to introduce yourself. 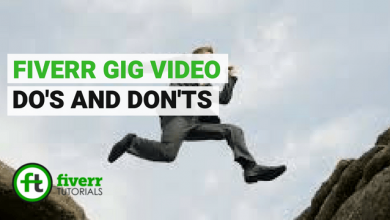 Keep in mind, if you’re able to introduce yourself in front of the crowd then you can compete with other well-settled sellers either on Fiverr or in daily life. But if you can’t then this is the area for you to work on. Hence, present yourself in a professional way. 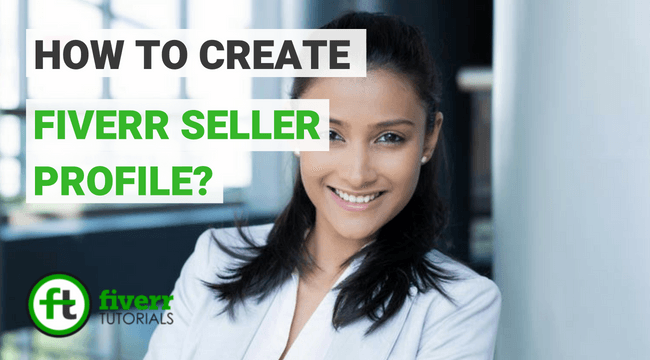 In this article, we gonna help you create Fiverr seller profile in three simple steps. Did create a Fiverr account yet? Learn to create a Fiverr account. In three simple steps, you can set up your Fiverr profile. In this section, you have to explain yourself. Try to focus on yourself rather than you start justifying skills and professional experiences etc. This information is visible to the active buyers on your public profile mode. The more personal you get, the more benefits you will get. Profile Picture*: Add a profile picture of your own. Make sure your profile picture is real, genuine and focuses on your face with of good image quality. Don’t use pictures showing your non-serious poses, always capture the picture in a way that you can use it for professional purposes. Description*: In the description section, write purely about yourself. Share hobbies, expertise, a little bit about your psychological attitude etc. Let buyers know about your personality so they might collaborate with you. Note: Description should be between 150 – 600 characters long. Languages*: Include the languages you can speak and the level of fluent in them. This will assist your buyers to communicate easily with you. 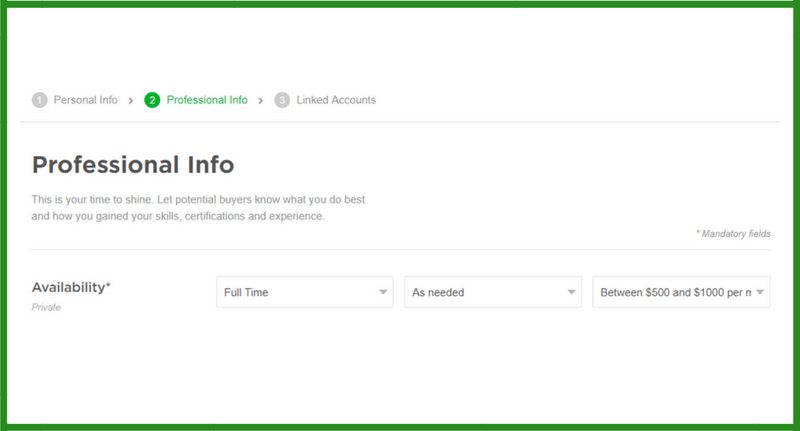 This is the area to present your professional abilities on the Fiverr profile. There you no need to get personal, just to be point and write about your profession and what you have to offer. 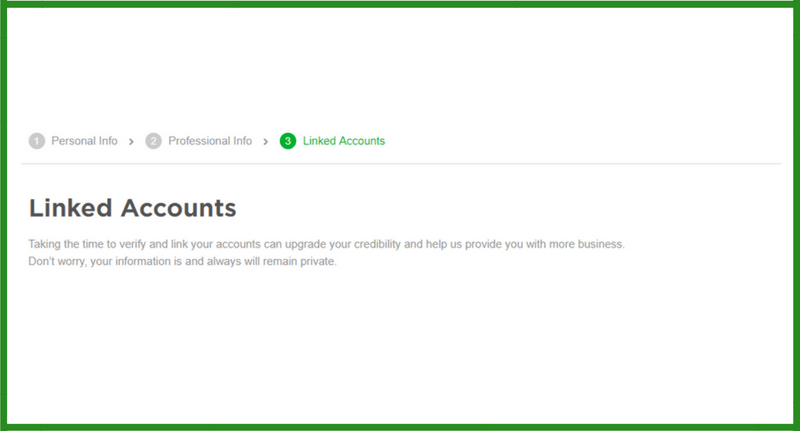 Availablity*: Here you will tell Fiverr your dedication towards this platform. Do want to make it a Full-time job or happy to consider it as a Part-time job? 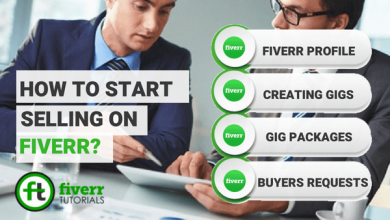 How much time will you spend on Fiverr? and more importantly what is your targeted income from Fiverr? Remember: The “Availability” section will not be visible publicly. Skills*: This is the area to showcase what you have to offer. you can add the skills you’ve with the level excellence you have granted on those skills. you can easily add the Fiverr defined skills. But if you’ve skills other than defined by Fiverr you can add them too but Fiverr will approve them after reviewing. Click “Add new” and keep adding the skills. Education: You can also share your education with the potential buyers on Fiverr. This guarantees that you’ve studied the niche professionally of which you’re offering services. Click “Add new” and share your education. Certifications: Certifications area allow the seller to share some external achievements or struggle he/ she made to get an excellence in the skills. Click “Add new” and add the certification title with the institution. 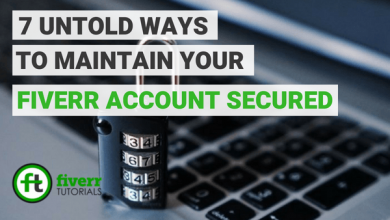 Linking social accounts to the Fiverr profile can enhance seller’s credibility and trust. This justifies that a seller is an authentic person verified by some other platforms also. 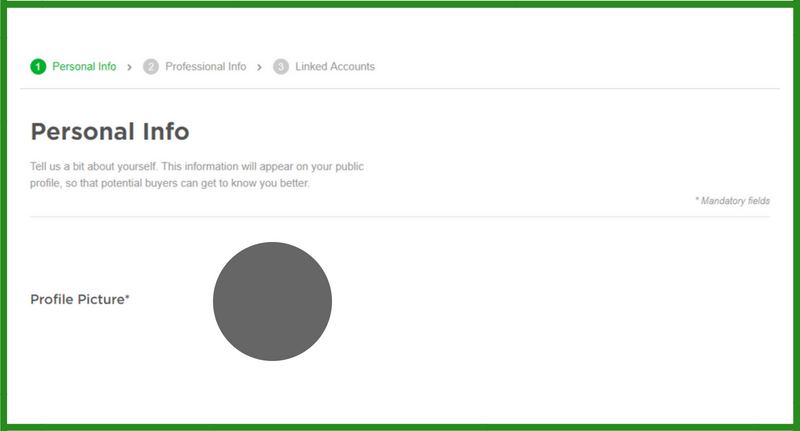 Social Presence: Link the social platforms like Facebook, Google, and Linkedin to show the buyers your social presence. Click “Connect” button to verify. Professional Presence: This creates a positive impression to your buyer that you’re linked to professional platforms like Dribble and Stack Overflow. Click “Connect” button to verify. That’s it you’ve completed your Fiverr seller profile.